Published: Nov. 13, 2016 at 11:35 p.m. Updated: Nov. 14, 2016 at 01:07 p.m. The fantasy waiver wire is a bit of a mixed bag as we close in on the stretch run. Featured below this week are a mix of emerging starters, Week 11 fill-ins, and high-upside stashes. Still, those in contention for the playoffs will want to pay close attention to these 16 players and those who will appear in my weekly Deep Dive (published Mondays) to keep tabs on plays for the present and the future. For those who use the Free Agent Acquisition Budget (FAAB) system, I provide a suggested spend for each player at the end of their analysis. If you have more specific FAAB questions, hit me up on Twitter. 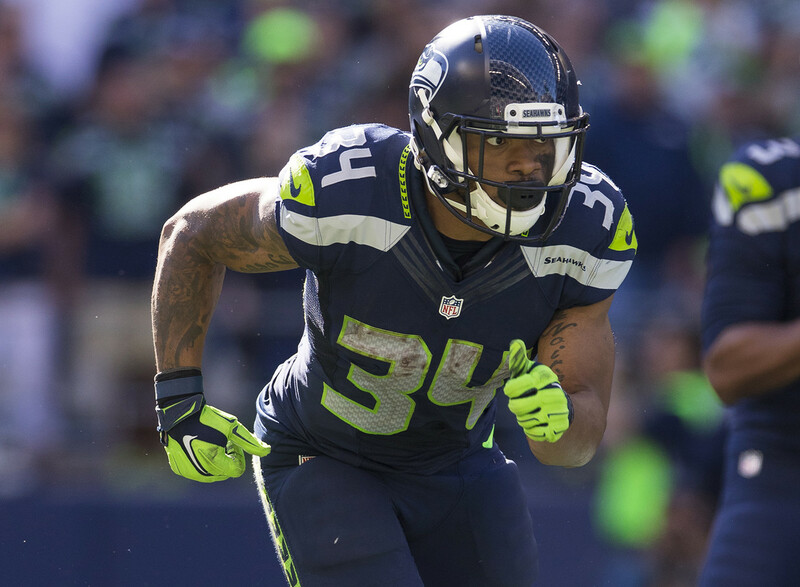 Rawls didn't play in Week 10, but is on track to return soon for the Seahawks. Christine Michael has only rushed for 65-plus yards twice on the year, and it might be time for The Awakening to go back to sleep. Rawls still has a high ownership percentage, but it's worth scanning waiver wires just in case. He has league-winning potential if he returns and assumes a workhorse role, though Seattle's late-season schedule is littered with staunch run defenses (Carolina, Green Bay, Los Angeles, Arizona) and rookie C.J. Prosise is looking like an emerging playmaker. FAAB suggestion: 15-20 percent. The main road block standing between Rawls and a featured back workload is Prosise. Finally healthy himself, the rookie has looked great the last few weeks as a dual-threat back, racking up 40-plus rushing yards and 30-plus receiving yards in each of the last two weeks. Prosise's emergence could allow the Seahawks to continue their cautious approach with Rawls, potentially increasing Prosise's value for the all-important fantasy playoffs. The Seattle offense is hitting its stride and whatever back ends up leading the way could be a league-winning acquisition. FAAB suggestion: 15-20 percent. After a breakout game against the Vikings in primetime, Howard looked ready to lead the Chicago backfield for the rest of the season. However, he suffered an ankle or Achilles injury (details are still murky) in Sunday's loss to the Buccaneers, putting us right back into muddled committee waters. Langford led this backfield in the past, but Carey has been seeing more playing time and touches of late. Both are worth a look on waivers this week until we gain more clarity here. FAAB suggestion: 10 percent. We expected the Packers to bring Starks back slowly in his first game action after knee surgery, but the team instead saddled him up for 51 snaps and 10 touches in a loss to the Titans. For now, Green Bay appears inclined to feature a traditional running back more prominently over Ty Montgomery, and after another week of practice/rest Starks' touch total should rise. The Packers offense can still move the football despite the teams' struggles, so Starks is very much worth an add. FAAB suggestion: 15 percent. With Matt Jones a healthy scratch in Week 10, the starting running back job in Washington was Kelley's to lose. After a strong 22-carry, 97-yard performance it appears Fat Rob will remain gainfully employed as the team's starter (for now). Kelley isn't a dynamic talent, but he runs hard and consistently picks up positive yardage even in what should be negative situations. His consistency (4.3 yards per carry average) and ability to protect the football (no fumbles) should keep him in head coach Jay Gruden's good graces. FAAB suggestion: 15 percent. Dixon played only seven fewer snaps than leading back Terrance West last week, but out-gained him (80 to 77) on half as many touches (11 to 22). This offense has myriad issues, but if Dixon continues to out-produce West it wouldn't be surprising to see the team give him more touches. He's worth a stash for now, but has flex appeal in PPR formats after seeing seven targets in Week 10 (catching five of them). FAAB suggestion: 5-10 percent. Perkins has yet to play in Week 10, but in an "audition" for more work last week he saw 14 touches on 21 snaps, totaling 47 yards. It's nothing to write home to your mom about, or drop a big FAAB spend on, but Perkins remains worth a stash as New York tries to sort its backfield out. FAAB suggestion: 5-10 percent. Don't look now (or do, I can't stop you), but Crowder has four-straight double-digit fantasy outings while emerging as one of Kirk Cousins' most trusted targets. Over that span, Crowder leads Washington in receptions (23), receiving yards (304) and receiving touchdowns (three). Next up for Washington is a home date with the crumbling Packers, who were absolutely shredded by Marcus Mariota in Week 10. Crowder will be a strong play in standard and PPR formats in Week 11. FAAB suggestion: 10-15 percent. After a career game against the Seahawks on Monday Night Football last week (10 catches, 162 yards), Woods' stock is on the rise. However, those watching closely knew this had been the case for weeks, as Woods had posted 50-plus yards or a touchdown in four of his prior five games. Part of this breakout was aided by Woods' increasing usage in the slot, as the former Trojan has racked up 175 yards and 51 percent of his snaps from that spot the last two weeks. The team needed someone to step up with Sammy Watkins still out, and Woods has answered the call. Hop on this gravy train while the getting is good. FAAB suggestion: 5-10 percent. Believe it or not, Matthews leads the league in touchdown receptions over the last six weeks with six. His talent and production have finally warranted more playing time, and he's led the Titans wide receivers in snaps in three straight weeks. His ascent to fantasy relevance has gone hand-in-hand with Marcus Mariota's hot streak as well. There's no reason to turn away from Matthews or Mariota as they travel to face the Colts' struggling defense next week. FAAB suggestion: 10-15 percent. While the playing-time trend I noted last week in deep dive didn't hold up for Rogers, the second-year pro followed up his 103-yard breakout last week with another strong showing. Rogers caught four of five targets thrown his way for 42 yards and a touchdown. He could be worth a shot in the flex again next week when the Steelers travel to Cleveland, whose secondary has allowed a league-high 25 passing touchdowns this year. FAAB suggestion: 5-10 percent. Even when the Rams offense stalls, Britt finds a way to produce. His latest seven-catch, 109-yard effort gives him seven games with at least 67 receiving yards or a receiving touchdown on the year. The Rams face the Dolphins at home next week, where Britt will once again have flex value. FAAB suggestion: 10 percent. In the two weeks prior to his bye, Ebron hauled in 14 receptions on 18 targets for 171 yards. He didn't find the end zone, but was the second-most targeted player on the Lions offense. He's finally healthy and offers Matthew Stafford a dynamic size-speed threat over the middle of the field. The Jaguars boast a strong fantasy points against ranking for tight ends, but that shouldn't scare anyone away from picking up and starting Ebron. He'll be a borderline TE1 from here on out. FAAB suggestion: 15 percent. All aboard the Brate train! While his production might look spotty on the surface, it's actually been relatively predictable. Brate struggles as a blocker, so he needs pass-heavy game scripts to see the type of volume fantasy players are after. Brate has posted 60-plus yards or a touchdown in each of the four games where Jameis Winston has chucked the rock 31 or more times since Austin Seferian Jenkins' release following Week 2. His upcoming contest against the Chiefs, who play ball-control offense, doesn't look like a strong week to start him. However, two upcoming games against the Saints seem like Brate spots. FAAB suggestion: 5-10 percent. Davis has 50 receiving yards and/or a touchdown in each of his last four games. He trails only Jamison Crowder and Pierre Garcon for playing time in that span, though Reed did miss time with a concussion. With tight end still, by and large, a disaster of a fantasy position, Davis deserves more attention on waivers -- especially ahead of a great matchup against the Green Bay secondary. FAAB suggestion: 5 percent.